Why Need to Move iTunes Library to External Hard Drive? 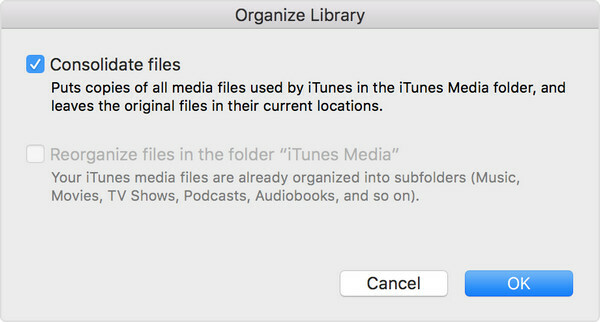 Your iTunes library, a database that's made up of all of the music and other media that you collect for years and add to iTunes. If something goes wrong with the library, all the information that you have saved in it may be destroyed instantaneously, lost forever. In order to avoid that kind of mishap, you should keep a backup copy of your iTunes library on any external hard drive. Or you found that your Mac's hard drive is getting full, and iTunes library is taking up too much space, then you can move your iTunes library to an external hard drive to free up space. 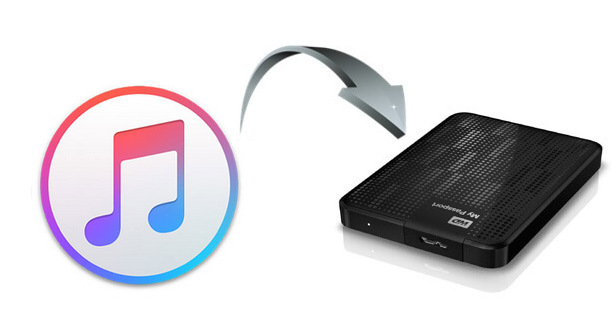 Here we introduce two methods to help you transfer your iTunes library to an external hard drive. 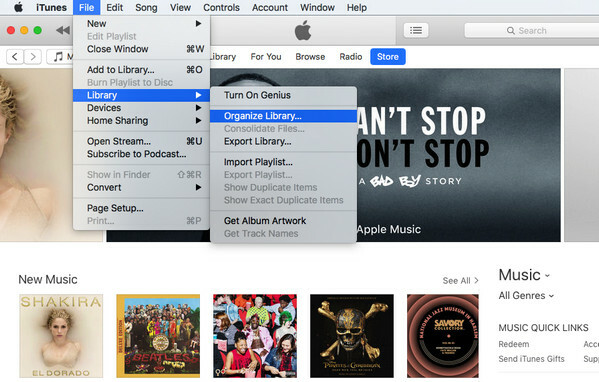 Step 1: Launch iTunes, click the menu bar “File” at the top of your computer screen or at the top of the iTunes window, then hover your cursor over “Library” in the dropdown menu, and select “Organize Library” from the secondary menu. Step 2: Tick the box for “Consolidate Files” in the window that appears and click “OK”. Step 3: Quit iTunes and connect your external hard drive to your computer using a USB cable. 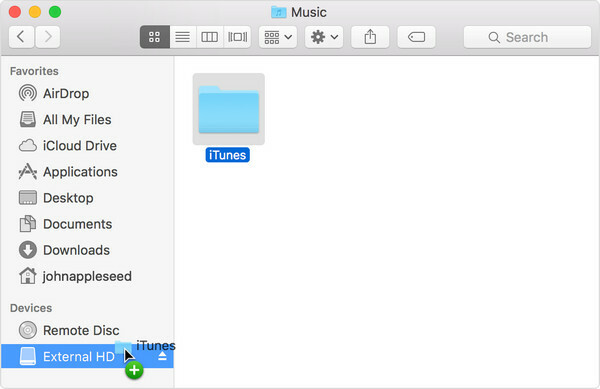 Step 5: Drag the iTunes folder from its location to an external drive. Your library and media files copy to the hard drive. To move iTunes Library to External Hard Drive without any data lost, NoteBurner iTunes DRM Audio Converter is the best tool to complete this task. And it supports to remove DRM from Apple Music files, iTunes M4P music and audiobooks, and convert them to MP3, WAV, FLAC and AAC format at 20X faster speed with all ID tags and metadata saved. Then you can easily move them to an external hard drive and stream on any devices as you want, such as Android tablets, portable MP3 player. The following part is a detailed tutorial about how to save iTunes Library to an external hard drive, please download and install NoteBurner iTunes DRM Audio Converter on your Mac or Windows computer first before getting started. Connect your external hard drive to your computer through USB cable. Open the output folder and then drag all of the converted files to it. This process could take upwards of an hour or two, depending on how much data you want to transfer.